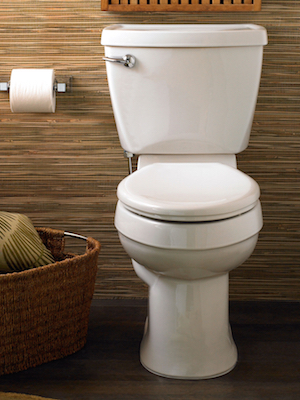 GRETNA – A property insurer is suing a toilet manufacturer for allegedly producing a defective toilet that damaged one of its customer’s homes. State Farm Fire and Casualty Company, a real party in interest and suborn of Frank T. Stewart Jr. and Emily Crespo Stewart, filed suit against in the 24th Judicial District Court on May 4. State Farm contends the Stewarts had an American Standard toilet, produced by Trane Inc., installed at their home located at 4008 Wheat St. in Metairie. The plaintiff asserts that on May 2, 2014 a water leak was discovered in the toilet which caused damage to the rest of the home. State Farm claims the source of the leak was later determined to be hairline fractures and cracks created during the manufacturing process. The plaintiffs allege they paid the Stewarts $59,630.27 for the damages to her home. The defendant is accused of manufacturing and selling an unreasonably dangerous product and not providing an adequate warning. Damages in the amount of $3,526 is sought for reimbursement of the Stewarts’ deductible. State Farm is represented by W. Ransom Pipes of Baton Rouge-based Hannah, Colvin & Pipes.